Games you can play right now! 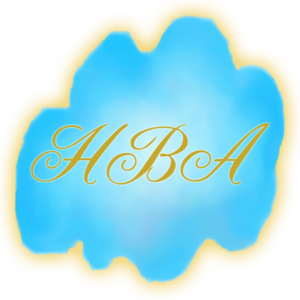 The flagship project of HBTZ is Visions, a Christian MMORPG set in the 2nd century Holy Land using the Bigworld Indie game engine. Visions is a quest and skill based game where the player can experience history as a Roman citizen, study the profession skills of a trade, and learn about Biblical history through visions and dreams. Visions is still in development, but our server is open for play to paid supporters. Also produced by volunteers through HBTZ is Chariots, a racing game set in ancient Rome on the island of Cyprus. Players can race on foot, on horseback or in a chariot. Chariots was released in July 2008 and is available for sale on the https://chariotsgame.tinyzoo.com website. In July 2009 Laurene released her first card game, Messiah, through the online publisher TGC. Messiah is a paper (table-top) card game for 2-10 players with a surprise ending. You can learn more about Messiah on this page. In July 2010 Laurene participated in an on-site game design contest at CGDC and developed the prototype for the board game Treasures In Heaven, and won the award for best board game. Treasures in Heaven is a cooperative board game about the fruits of the spirit for 2 to 9 players. It is helpful if players can read, but color coded cards make it possible for younger players to join the fun with the adults! Players work together to gather all the fruits of the spirit before the rains come and spoil the harvest. Pedich Edhellen? is a simple flashcard game to help players learn to speak Elvish. This app focuses primarily on Quenya, the “High Elf” language from Lord of the Rings invented by J.R.R. Tolkien for use in his stories. Pedich Edhellen? uses an immersion method of language instruction which has the student speaking Quenya from the very first lesson. Sound is included for every card, but is optional so may be used silently if desired. 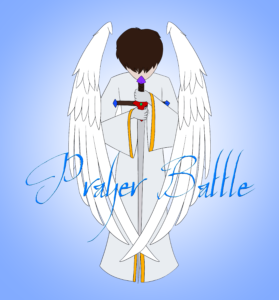 Prayer Battle is a small application designed for mobile devices to bring people together in prayer. People will be able to click a button to post a prayer request, and click another button to pray for the prayer requests that have been posted. 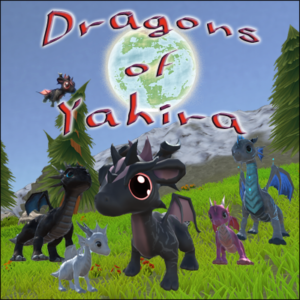 Dragons of Yahira is a fully interactive 3D graphics game being developed by a small fragment of our team and a teenager leading the design choices. Adults are leading the development, but our goal is to make a game designed by a teenager for teenagers. Be the dragon! Grow from a hatchling to adulthood. Survive. Explore. Create. Collaborate. VR Vacation is a VR game being developed with the HTC Vive to create virtual worlds where people can escape to relieve stress from day to day life. Cosmetry is a VR game being designed and developed primarily by Rivan Wells with occasional help from other members of the team. A Smashing Good Time is a small VR game in development designed purely for fun and stress relief. We have a Roman cookbook that was written as a promotional item for Visions. 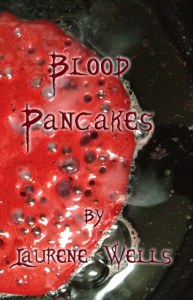 Several members of the team have also put their pen to the test and self-published some books also. You can see the full listing on our Book page in the Tinyzoo store. Are you looking for Heaven’s Blessings Academy? Our online courses are currently being hosted on Thinkific. Check it out!